The solution is simple to start in Window-10 the Tool, to make changes in the color profile for a device, for example for printer or fax! You can find the Color Management Tool for example in the Windows 10 Control Panel! 1.) ... Open Color Management via Run-Command! 2.) ... Find the Windows 10 Color Management in Control Panel! 3.) ... Create shortcut on The Desktop for Color-Management! 1.) Open Color Management via Run-Command! The command for Windows 10 Color Management is: colorcpl to start it from the nice Windows-10 Run Dialog keyboard-shortcut Windows+R. in the Windows 10 Color Management please select the Device to make changes in the color profile. (Image-1) Window-10 Color Management for Devices! In a color management system, color profiles are used to create color transforms, which Windows 10 programs use to convert color from one device’s color space to another. A color space is a three-dimensional model in which the hue, lightness, and chroma of colors are graphed to represent the rendering capabilities of a device. When a new device is added to your computer, a color profile for that device might be installed automatically on Windows 10. 2.) Find the Windows 10 Color Management in Control Panel! Start the Control Panel in Windows-10 for example Windows-X menu and enter in search Box color. Select the Text "Change advanced color management settings for displays, scanners, and printers"
(Image-2) Windows-10 color profile for a device! A color profile in Windows 10 is a file that describes the color characteristics of a specific device while it's in a particular state. A profile can also contain additional information defining viewing conditions or gamut-mapping methods. Working with your computer's color management system in Windows 10, color profiles help ensure that color content is acceptably rendered, regardless of the device or viewing condition. 3.) Create shortcut on The Desktop for Color-Management! This command will start the File-Explorer and select the colorcpl.exe in C:\Windows\System32\ folder. (Image-3) Color Management Desktop Shortcut! There are two main types of color profiles that Windows 10 continues to support: Windows 10 Color System (WCS) and International Color Consortium (ICC) color profiles. This provides you with the greatest variety of choices for customizing color management options and color workflows. WCS is an advanced color management system found in recent versions of Windows 10. While supporting ICC profile–based color management, WCS provides advanced capabilities not found in existing ICC color management systems. Where are all Change the color profile name stored in windows is here a folder or dir for windows 10? Where are all color management saved in windows 10, where is this on windows 10 located? Where is my color profile windows 10 to create a backup of all windows 10 color profiles? Where can i find my color setting folder on windows for example for the printer? Where are printer color settings located on windows 10, where are colors customization for printers in windows 10? Where are Printer Color Management in Windows 10? Find the windows 10 load color profile? How to change color profile windows 10? Windows control panel color management? Set color profiles windows 10? Reset all color management windows 10? Icm profile windows 10 download? Windows 10 printing in colour? Where is colour profile settings in my win 10 pc? Windows 10 change colour profiles? Windows 10 set color profile? Change the color profile name in windows? Set default printing profile windows 10 1607? Windows 10 color profile folder? 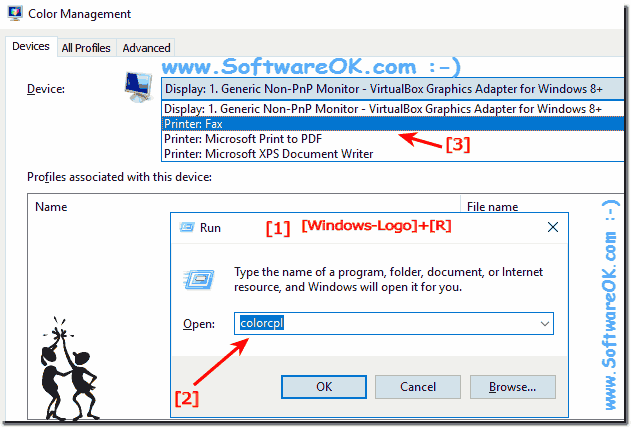 Installing a ICM printer profile on windows 10? Change color profile windows 10? Windows 10 Phone change color profile? How to change icc profile windows 10? I can not find the windows 10 color profile, to change color profile on this Windows 10 Computer? Where are color profile stored in windows 10 find the color profile settings? Color profile location on Windows 10, where is the font files stored in windows 10? Where are Printer Color Management stored is hear a location or directory on windows 10 system drive? 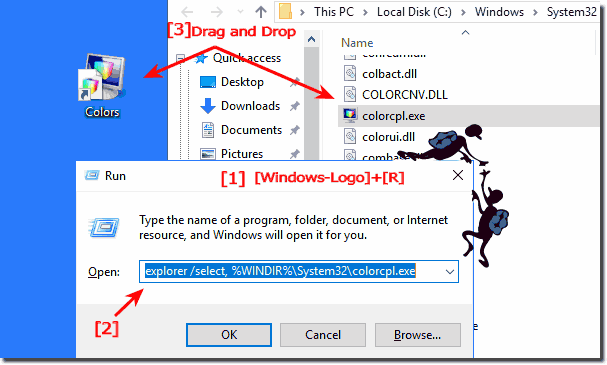 Find and open the folder of Printer Color Management on C: in windows 10?